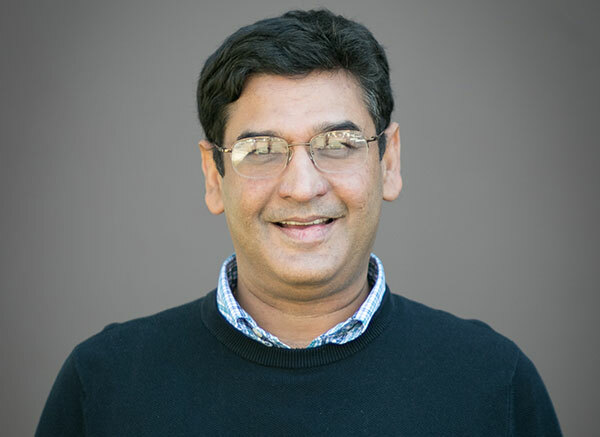 We interviewed Ravi N. Raj, CEO and co-founder of Passage AI, which recently won the Global Annual Achievement Award for Artificial Intelligence in the “Best Use of AI in Education” category for improving the enrollment of a leading online education course provider through NLU/P AI-powered chatbots. 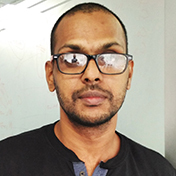 Passage AI enables businesses to harness the power of AI-enabled conversational interfaces and Ravi was happy to talk about his bot-building platform and share his views on chatbots and new trends in AI. Thanks for accepting our interview request. Can you tell us a little bit about yourself? Prior to co-founding Passage AI, I was part of the executive team at Walmart. I came to Walmart through the acquisition of a search and social media startup called Kosmix in 2011. Before Kosmix, I worked in the web search and paid search teams at Yahoo and AltaVista. I read your inspiration to co-found Passage AI was triggered by a conversation with your sister, who worked in a call center where she had to answer the same question over and over, leaving her bored and frustrated! Tell us about Passage AI’s bot-building platform. How does it work and what are the key features? Passage AI has created an award-winning bot-building platform that utilizes AI and natural language processing technologies, requires no coding and can be deployed anywhere in as little as two weeks. Employing sophisticated deep learning models that involve advanced techniques like bi-directional LSTM and word embeddings, Passage AI’s platform is able to truly and accurately understand natural language text and speech, creating an intelligent conversational interface capable of better identifying intents, extracting the most useful, pertinent and timely information, understanding and responding to queries and searching through vast amounts of data. The chatbot market is pretty crowded, right? There are so many AI-powered chatbots using natural language processing, multi-linguistic, machine learning etc. What makes Passage AI unique and different? One of the main things that makes Passage AI different is our accuracy – our award-winning conversational AI platform has demonstrated an industry-leading 95 percent or higher accuracy in field tests, which is of key importance to users who may be interacting with chatbots for the first time. Our platform also provides ease of use, allowing anyone to deploy a chatbot in less than 2 weeks. We are also opening it up to more and more channels that are proliferating in the market so that our customers can build on the conversational intelligence that works on every platform. It can work natively on more than 20 different platforms, which helps better meet the needs of today’s customer. Lastly, Passage AI chatbots can converse in all major languages, which helps deliver a superior experience to customers regardless of the language they speak. Passage AI recently won the Global Annual Achievement Award for Artificial Intelligence in the “Best Use of AI in Education” category. Can you tell us some of the important use cases of chatbots, in different verticals (education in particular)? We feel that chatbots are a promising new way for students not only discover but also take advantage of educational opportunities. In this particular use case, we worked with a leading online education provider to launch a chatbot that would serve as a guidance counselor to help prospective students find courses and easily enroll via their website. The end result was a 41 percent increase in online enrollments. But this is just one use case – there are many ways that chatbots can be implemented in education. Because today’s students are used to communicating via messaging platforms and social media, chatbots can be a great way to engage students. Chatbots can also be used to survey students so that courses can be tailored to students’ needs or suggest how a course can be improved. Bots can quickly and easily analyze student feedback to help educational institutions provide a better overall experience. Not to mention, chatbots can provide a significant amount of information for students almost instantaneously. Since most questions are tend to be repetitive in nature, chatbots can almost always be used to convert time-consuming tasks like replying to queries from students and prospective students into an automatic one, saving time and money. Where do you want your platform to be in the future? Tell us about your plans. Our bots already perform at an industry-leading accuracy of 95% or higher. The Passage AI team stays very much on top of new advancements in the area of AI and deep learning and are constantly trying our new techniques and algorithms to get accuracy up even higher. Our chat client called Tars is already on a number of sites. We want to add more capabilities to this chat client so it can continue to delight end-consumers with its slick interface and easy access. Finally, we want to continue to make our bot building console very intuitive and easy to to use so you do not need to be a developer to build, train and deploy a bot with very high accuracy. Can you name some of the key chatbot trends we will see in 2019? One of the biggest trends will be the rise of voice. With smart home hubs and voice-activated controls in automobiles becoming more pervasive and as consumer adoption continues to skyrocket, these smart voice devices will be used by consumers to do the kind of things they do on the website or mobile app of a business. Businesses can create a voice-based bot or skill to offer customer service to their consumers, help them find the right product and place their order or even check on their bank balance and pay their bills. As more and more consumers start to use voice as a way to interact with a website, marketers will need to use this channel to drive customer acquisition and retention. They may need to run campaigns to acquire new customers on voice enabled devices or send deals, offers and updates via this medium to retain customers. Voice is the most intuitive communication and interaction model known to humankind. It is certainly the most frictionless way to interact with a person or a business. As artificial intelligence, speech recognition and natural language processing technologies become more mature, voice will become like mobile did back in 2007 to become the de facto way consumers interact with a business. It is important for businesses to be thinking of voice as a medium now to be serving their customers. Deep learning is driving what will soon be a seismic shift in consumer behavior, which is to use voice to communicate their needs to a business. Certainly, in a car, voice is the safest and most legal way to do this. But there are other scenarios, like on a smartphone with its screen size limitations, where voice could become the de facto interaction paradigm. Just about all of the things you claim happens to be supprisingly precise and that makes me wonder the reason why I had not looked at this in this light before. This particular piece truly did switch the light on for me as far as this particular topic goes. Nonetheless at this time there is actually 1 position I am not really too comfortable with and whilst I make an effort to reconcile that with the actual central idea of the position, permit me observe just what all the rest of your subscribers have to say.Very well done.